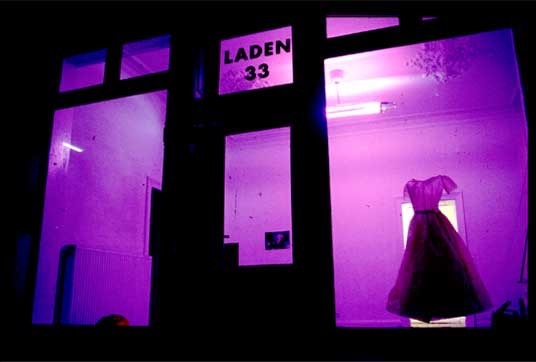 Solo Show, Laden 33, Dusseldorf, Germany. 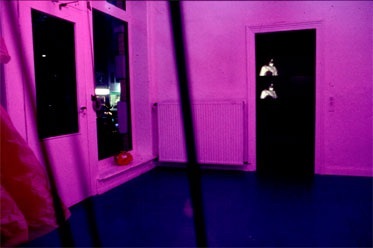 The gallery was a former shop so I used pink light to lure viewers into the space. Hanging in the window is a paper dress made from two wedding dress patterns sewn together. 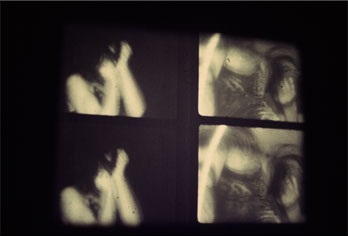 The image of myself is contained both in the colour photo on the wall and in the one minute black and white film loop of me dancing, which gets more and more scratched as it is repeatedly projected.